Homestyle Peruvian Cooking at it’s best! This unique eatery has found it’s place in the beautiful city of Cape Town. Keenwä open it’s doors for the first time in December 2010 and going strong. 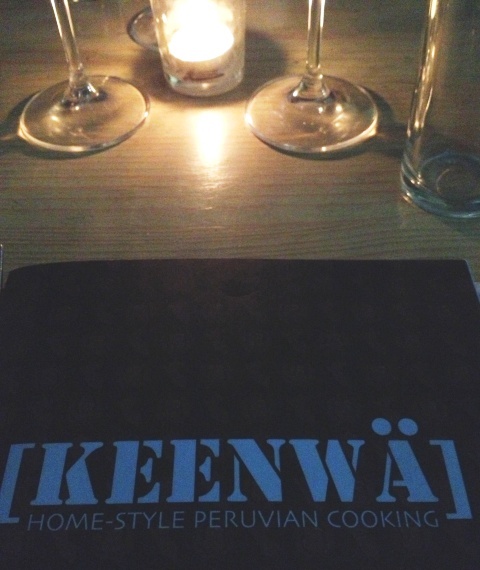 We have eaten at Keenwä before, but a special invite to taste another few new Peruvian dishes, did not disappoint! I honestly love Quinoa, (the grain-like power food.) 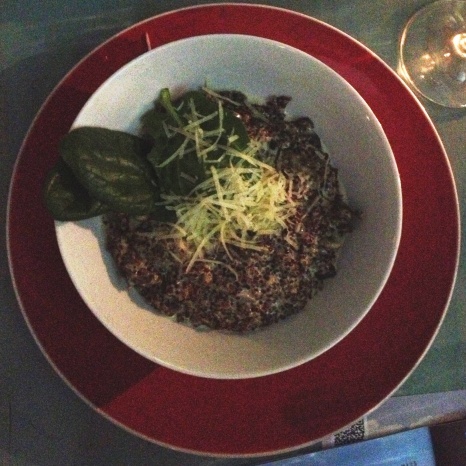 If you want to know more about the health benefits of Quinoa – Read here. 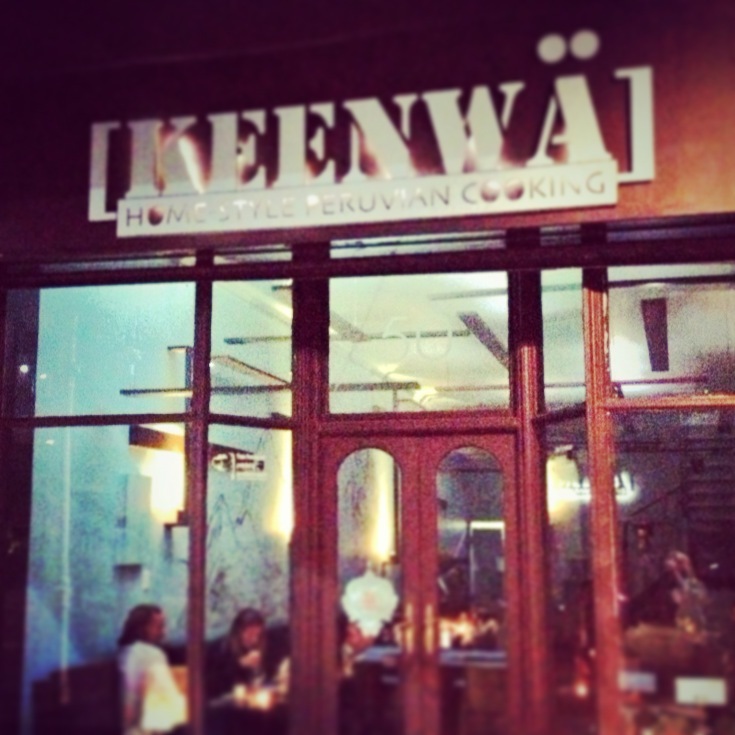 The owner of Keenwä, German de la Melena, was born and grew up in Lima, Peru. German completed his tertiary studies and set out travelling the globe for several years. This is where German completely fell in love with Cape Town and he finally settled in the Mother City. A dream of introducing authentic Peruvian flavours to the local people, became a reality. Ceviche – Cubes of fish marinated in lime juice and a sprinkle of chilies. Usually served with sweet potatoes to complement the zing. 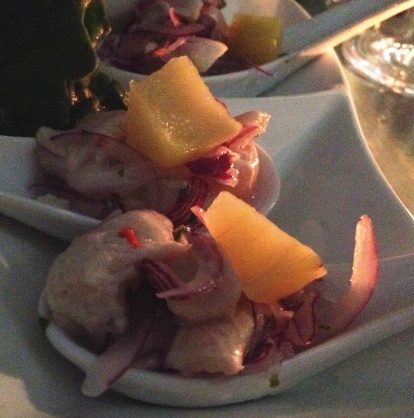 Ceviche is fresh and full of flavour, and can be served in different variations, just ask. 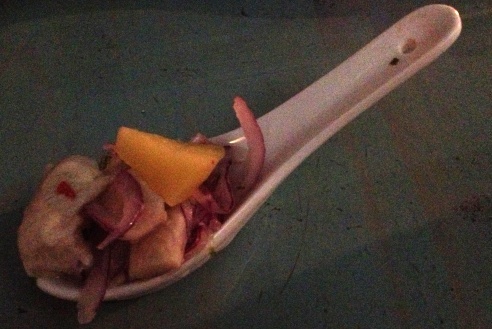 A small spoon Ceviche; full of flavour. 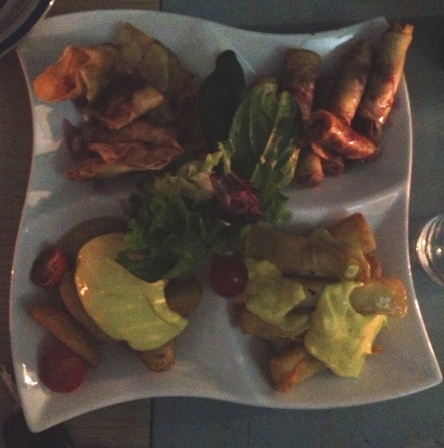 The Peruvian dished that stood out above the rest was Quinoa -crusted Croquettes and Quinoa cooked Risotto-style. It is very hard not to like these to dishes! 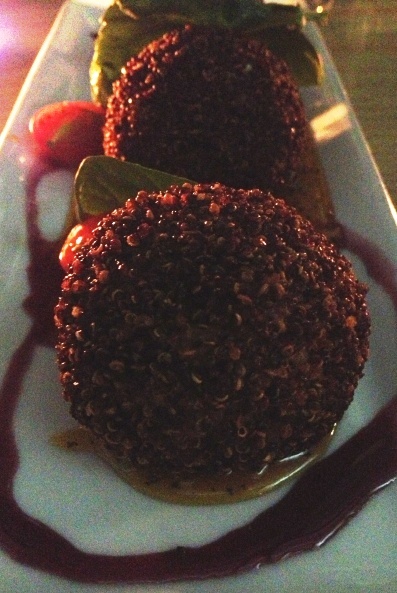 The Croquettes, filled with crab and langoustine, served with a passion fruit sauce. 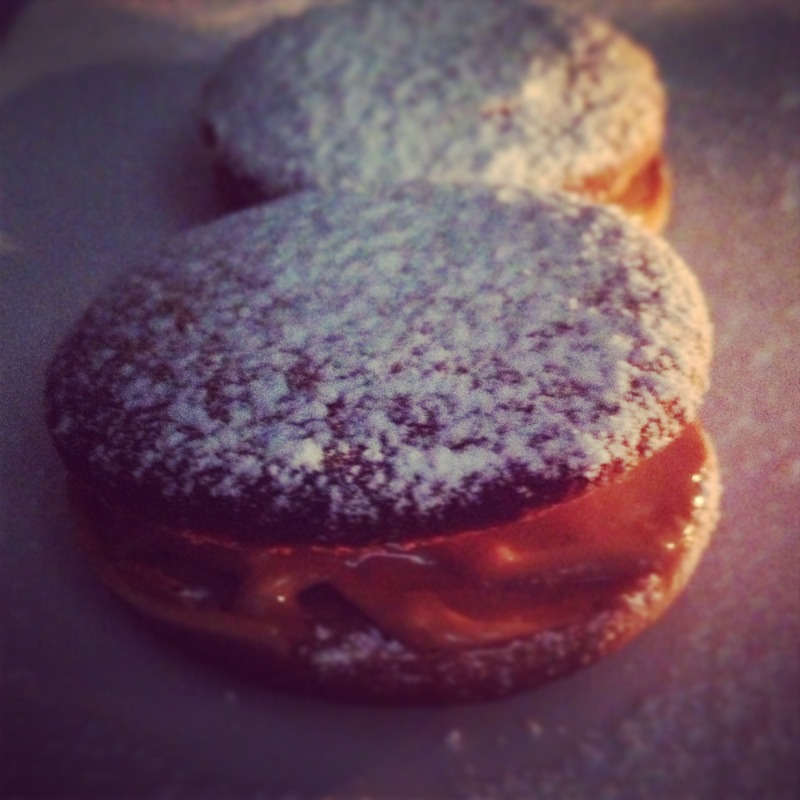 If you crave something sweet to end the evening, ask for Alfajores. The shortbread biscuits sandwiched with Manjar Blanco – A sweet and creamy type of paste made from milk. The perfect end to a Peruvian meal! Keenwä is located on 50 Waterkant Street, Cape Town. This little eatery is not on the main road, but definitely worth the effort to find it. Keenwä is open week days for lunch from 10:30 – 16:00. Then for dinner from 18:00 until late; especially if you pop into P.I.S.C.O bar upstairs. 😉 Find Keenwä on Facebook or follow them on Twitter. SPECIAL! Keenwä is currently running an amazing special. Start off with the delicious Croquettes, then a Quinoa dish for Mains and a glass of wine for R150 per person or pay R200 Per couple. The special runs every night between Tuesday and Saturday. Previous: Previous post: How to Wreck Miley Cyrus?